Construction of Leeza Soho has reached a height of 207 metres this year, for a project slated to be completed in the latter end of 2018. 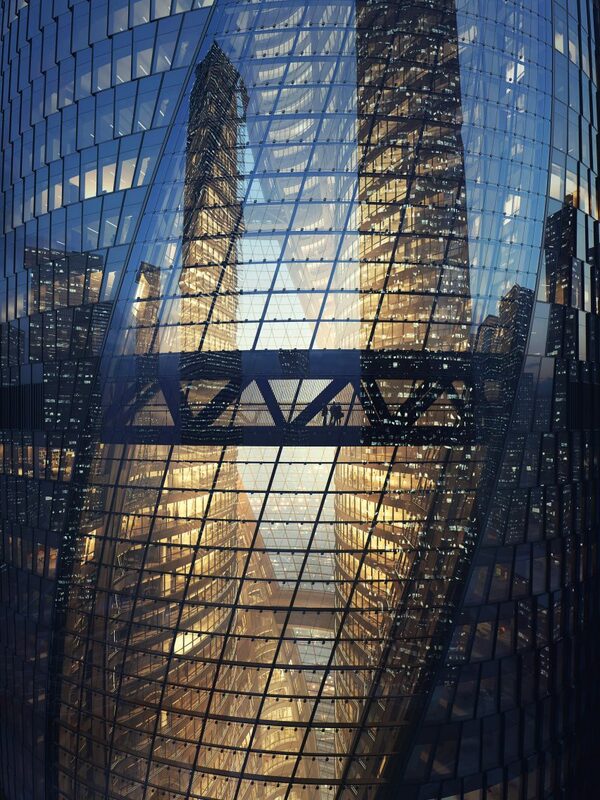 Located in the Lize Financial Business District – a new business, residential and transport hub in southwest Beijing – the 46-storey Leeza Soho will feature a mix of offices and shops. 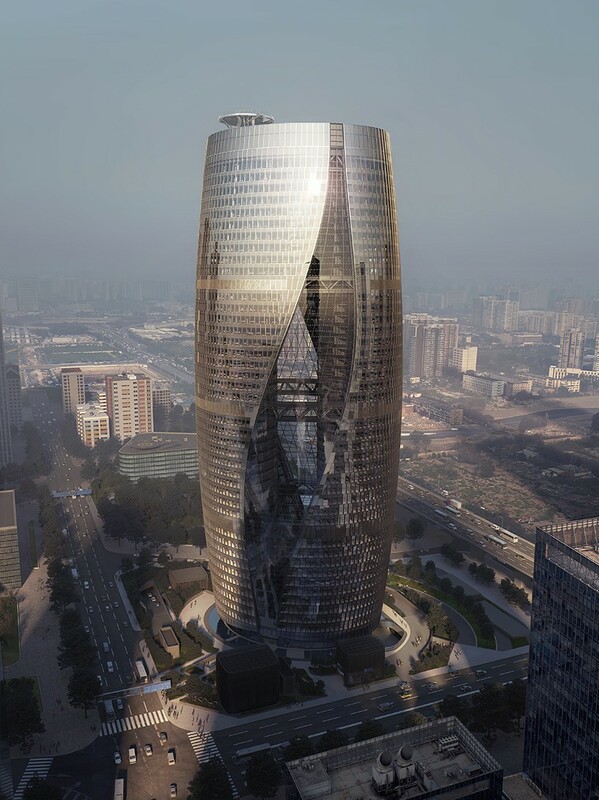 The tower is the latest of four projects that Zaha Hadid Architects has designed for the property developer Soho China, with two falling in Beijing area. 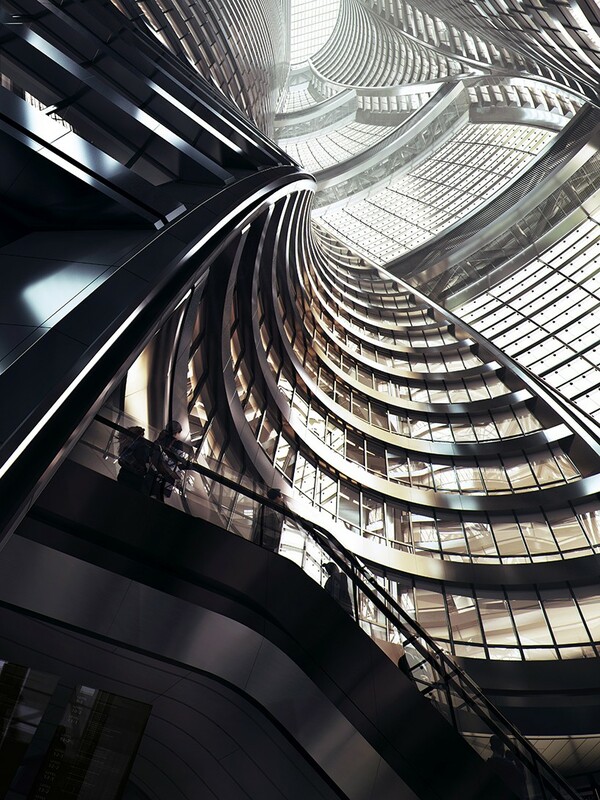 The new tower would feature the highest twisted atrium in the world, and anchor the the Wangjing Soho commercial located midway between Beijing Capital Airport and the city. Zoho tower is about 1.4 million square meters of office and retail space. The proposal by zaha hadid architects is a skyscraper – which is already 20 storeys tall –traddles a new subway tunnel which diagonally divides the site connected by a huge central atrium. structurally, the envelope uses a double-insulated, unitized glass curtain. this wall system steps the glazing units on each floor at an angle, allowing ventilating registers to draw outside air through an operable cavity when required, creating efficient environmental control for each floor. the scheme hopes to reach LEED gold certification using techniques, including the self-shading atrium that will be insulated with low-e glazing to promote a comfortable indoor environment throughout beijing’s changing seasons. A public space connecting with the interchange below will occupy the atrium on the lowest level, leading on from the outdoor public plaza that surrounds the tower. There will also be space to park 2,680 bicycles, with lockers and shower facilities also provided. Dedicated charging spaces for electric or hybrid cars are located below ground. 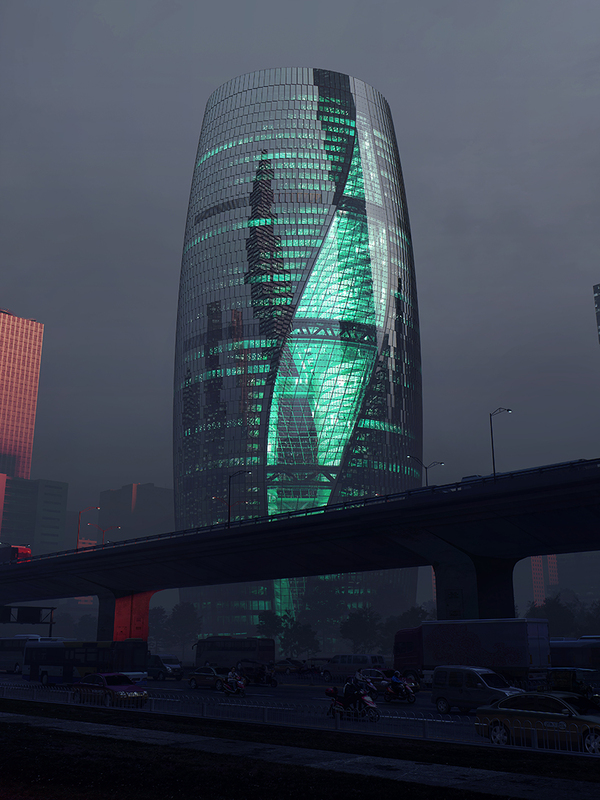 Zaha Hadid Architects aim to keep the building’s energy consumption and emissions.